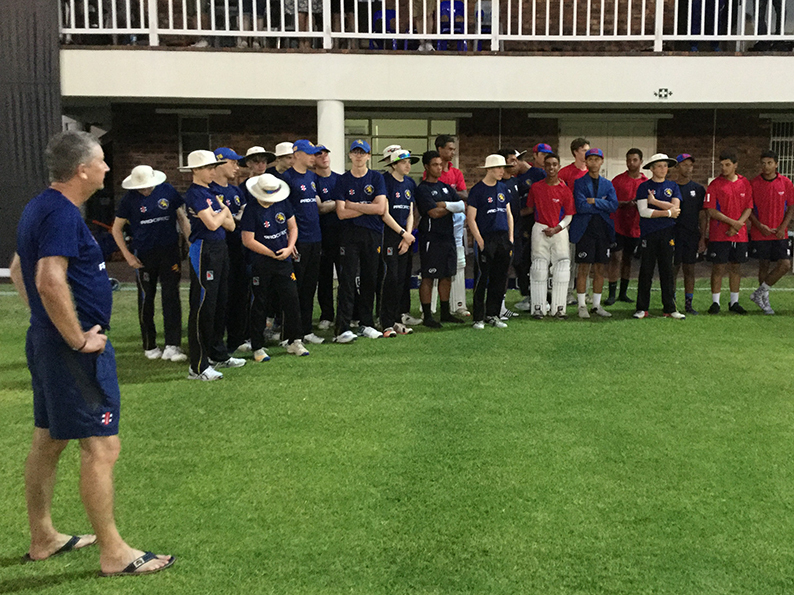 DEVON'S Under-15 development side were no match for their latest day-night game opponents in far away Cape Town. The fourth fixture of the tour ended in a seven-wicket defeat by the students of Bergvliet High School. Devon were bowled out early for 99 in the 40-over game, no one making more than Reuben Windley (18). Paignton’s Joe Farmer (12) was the only other batsman to make it into double figures. Bergvliet knocked off the runs with ease with Reese Thompson making a top score of 37 not out. Devon skipper Jasper Presswell kept one end quiet with impressive bowling figures of two for five from his four overs. Devon have a one-day game against Newlands Cricket School at Greenpoint on the fixture card today (Sunday). Tomorrow (Monday) is a rest day before the start of a two-day game against Western Province.